Very looking forward to be part of this exciting production! 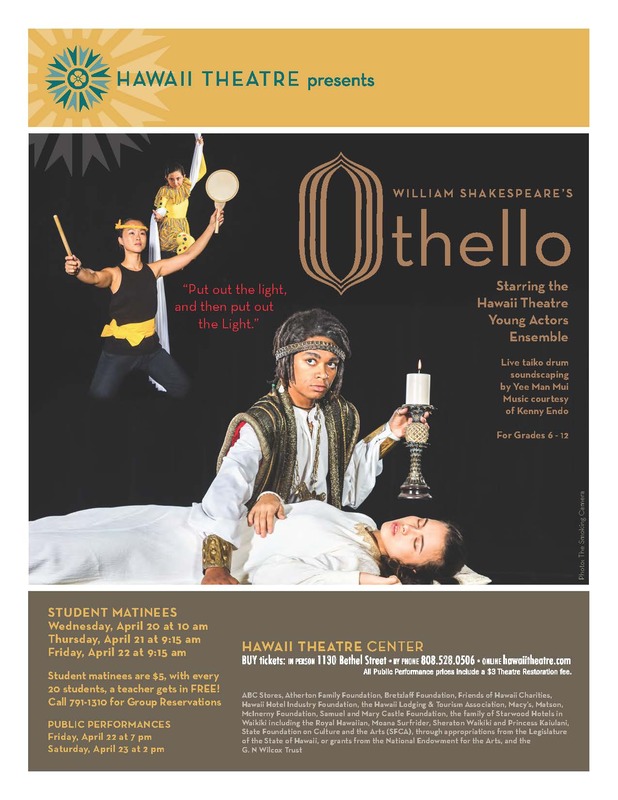 I will be playing live taiko drum as part of the soundscape of the Hawaii Theatre Young Actors Ensemble (HTYAE) upcoming production, William Shakespeare’s Othello. Together with the Clown, who will be performing aerial silk, I am going to be part of the stage set up to bring the story of Othello alive. There will be two public performances and three Student Matinees in April 2016.